Have you already pre-ordered the new Oura ring? The Pre-Order Updates section of our site is the place to check for new updates, important dates and exclusive sneak peeks. We’ll be publishing updates approximately every two weeks. The seventh Pre-Order Update includes information about the sizing kits. The new Oura app for iOS has been out in the wild for some time. We’ve got a lot of positive feedback for the new design and a bunch of 5-star reviews in the App Store. Many thanks for the feedback, it means a lot to us! If you have the first Oura ring and the Oura app, you may want to drop us a review about your experience. For those who are waiting to get the new Oura ring, read more about the app here. We’ve shipped out the first sizing rings to pre-orderers. We’ve also upgraded to a warehouse that can handle a larger number of orders, as many have wanted to use the ring sizers to find out their size. We’re sending the sizing kits out from two warehouses: the main hubs are located in Europe and the US. Currently, sizing kits are being delivered from the European warehouse. The estimated shipping start for sizing kits from the US warehouse is at the end of next week. The shipments will continue through May. If you’ve ordered the sizing kit, you’ll get an email notification once the sizing kit is shipped. The page for all your sizing-related information is ouraring.com/sizing. I want a sizing kit, will I get one? If you have made a pre-order for the Oura ring and you want to find out your size with a sizing kit, go to ouraring.com/sizing to order a sizing kit. We’ll send you a sizing kit only if you order the sizing kit. We have done some further testing on the water resistance of the new Oura rings. We have verified it to 150m. You can safely wear an Oura ring in the shower or go swimming or snorkeling with it. 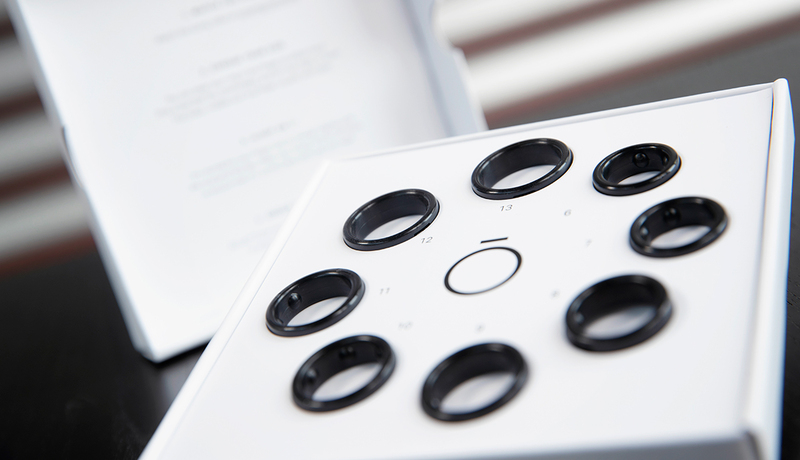 For info about the ring materials read the Oura FAQ. Type approvals for the new Oura ring are proceeding nicely. First rings to be shipped out in May. First sizing kits have been sent. We’ll continue shipping them out during the next few weeks. More updates in two weeks. Until next time!